Once again, summer has flown by and we’re already gearing up for the kids to head back to school. But before you sprint to Target to stock up on all the back to school basics, check out my picks for some unique back-to-school items that I featured this morning on KTLA. From t-shirts that teach kids the human body to a healthier-for-your-eyes desk lamp, I have the scoop on some supercool products you wouldn’t think to grab before school starts. Watch the KTLA segment by visiting the On Air page and learn more by reading below! Shopping for back to school clothes takes on a whole new meaning with Curiscope’s Virtuali-tee. This t-shirt is a wearable piece of technology and science that helps illustrate the wonders of the human body. It features beautifully designed augmented reality and amazing 3D experiences. 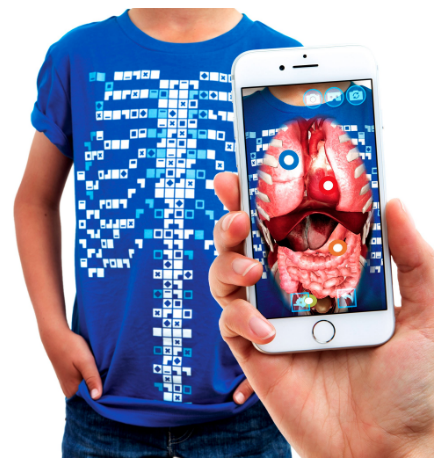 You simply download the free app, put on your Virtuali-Tee, scan the tee and tap anywhere on the screen to peel back layers of the body so kids can learn about what’s going on inside their bodies. It can even be used in selfie mode so kids can explore the internal systems on themselves! This is an amazing learning tool that not only teaches kids about the human body, but also about augmented reality and new technology. Every parent struggles to come up with healthy and easy-to-prepare lunchbox ideas that their kids will love so I wanted to bring some creative ideas using Farmer John Fresh Pork. Pork has been stereotyped as an unhealthy meat but Farmer John Fresh Pork it’s actually a lean, high-quality, all-natural source of protein that can be prepared in dozens of ways. You can grill, roast, sauté or slow cook it. Today I made two of my favorite lunchbox recipes using Farmer John Pork – Bow Tie Pork Pasta salad and Pork Lettuce Wraps. I love making these the night before so I can just toss it in my daughter’s lunchbox in the morning. The meat is tender, flavorful and so versatile. You can find Farmer John Pork at local grocery stores like Stater Bros and Smart & Final. Three out of four American suffer daily from eyestrain, but most don’t realize that the lighting they use may be contributing to the problem. 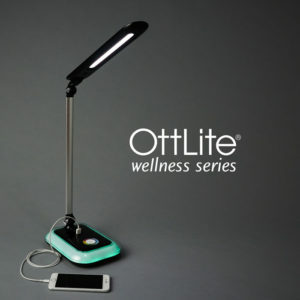 Make sure your student has the healthiest lighting possible this back to school season with OttLite’s Wellness series. These desk lamps provide the healthiest light you can buy and are the only lamps designed specifically with eye health in mind. 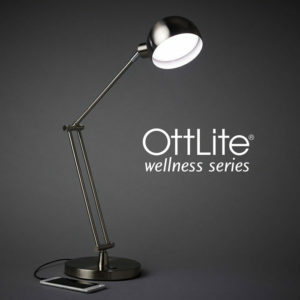 OttLite’s Wellness Series have been proven to reduce eye fatigue by 51% and deliver the closest thing to natural daylight available indoors. With how rough and tough kids can be on their school gear, they need a backpack that can withstand anything. The ClassMate backpack by Lands’ End is built to last a lifetime and designed to fit kids’ tastes. These ultra-durable backpacks feature a water-repellent finish and a stout and sturdy base. There’s a zippered main compartment, exterior front pockets and side pockets on the extra-large option. They come in dozens of prints and colors, so every kid can find a style they’ll love. But most importantly, this backpack is ultra-comfortable. It has dense padding on the straps and back panel for carrying comfort unlike any other backpack. There are also reflective accents to help keep kids visible in low light. Whether your child is entering preschool, college or any grade in between, every parent wants their child to eat more vegetables. Now, Harry & David is making it easier than ever to get farm-fresh vegetables delivered to your door. Their new Veggie of the Month Club gives parents and kids the opportunity to try exotic veggies you can’t find at your local grocery store. 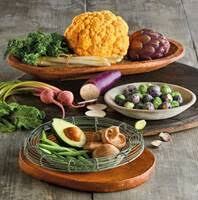 Vegetables like chinese eggplant, purple artichokes, baby candy cane beets or cardoni. You also get an assortment of the classics, which make packing healthy lunches a breeze. It’s also a great gift for new college students so they always have access to fresh veggies, even in their dorm rooms. Memberships are available in 3-, 6-, or 12-month options each with an organic upgrade option.